Enhancing recovery between workouts is a relatively common topic of discussion. 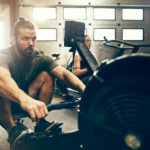 Delayed onset muscle soreness (DOMS), temporarily hindered performance, and even general fatigue are all natural, yet annoying aspects of the recovery process. Although other strategies to augment recovery exist, the recovery process is influenced by nutrition more than any other modifiable factor. Arguably, many sports nutrition topics addressed by coaches and trainers also revolve around recovery. Yet we still seem to fall short when providing our clients with fundamental knowledge in this area. While todays’ go-to recommendation seems to be “eat whole foods”, this terribly vague advice is also inadequate for many training programs. It is especially frustrating to those who push athletes to their highest levels. I do agree that most supplementation strategies should be intended to fill the gaps left after adequate nutrition is employed. However, there are some supplements that provide a necessary boost to the recovery process in high-level training programs. In fact, some supplements allow us to surpass the gains likely to be made from whole foods alone. Creatine is an incredibly popular supplement, and for very good reason. 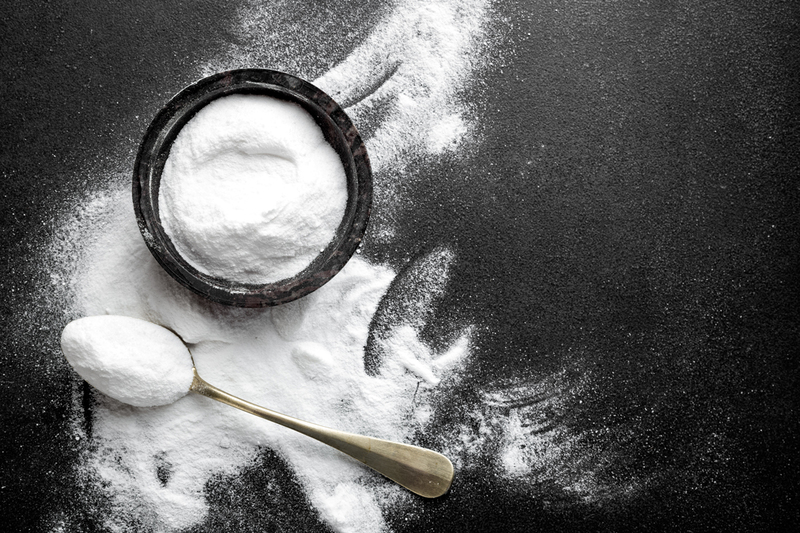 Although it is found it in food, it appears in such small amounts that it could never completely saturate our phosphocreatine stores through diet alone. Creatine acts very much like the macronutrient Carbohydrate in the way that it fuels our energy systems. The PC-ATP energy system utilizes a form of Creatine as a raw source of energy like the way other energy systems utilize carbohydrates. Moreover, Creatine stores are used up to the point of being completely depleted during exhaustive resistance training. From this perspective, providing the body with supplemental Creatine could be a means to enhance recovery beyond what is possible through whole food diets alone. However, this only speaks to recovery through the replenishment of lost energy—not necessarily cellular repair. For the sake of practicality, I often place recovery into one of two categories— replenishment or repair . Before pointing out how supplements enhance overall recovery, we might create a more meaningful dialogue by discussing these very different aspects of recovery separately. This allows us to better communicate exactly how/when/why a given strategy might work (or not work). Without such parameters, the discussion on nutrition can get messy very quickly. Certain foods are veritable “gold mines” for nutrient replenishment. Carbohydrate sources, for example, restock the glycolytic stores throughout muscle tissue and the liver that become depleted during strenuous exercise. The more anaerobic the workout, the more necessary it is to restock glycogen stores before the next bout. This also means that: the more aerobic the workout, the less important it is to restock carbohydrates. This helps to explain why endurance runners can get away with low carb diets whereas football players would quickly derail their performance. (Side note: This is not to say that aerobic athletes don’t benefit tremendously from carbohydrates. It’s just that anaerobic athletes really can not function at all without them). Electrolytes are also vitally important when replenishing the body from long duration workouts. Electrolytes are often found in carbohydrate food sources. Therefore, carbohydrate-rich foods act as great sources of replenishment for both glycogen stores and electrolytes. However, trainers or nutritionists that don’t include certain supplements is potentially setting the athlete up for failure. Sports drinks, such as Gatorade, often get a bad rap for the amount of sugar they contain. This criticism should be seen in context, as this “anti-sports drink” position is usually aimed at sedentary non-athletes. In fact, this easily digestible form of sugar could be vital to optimizing performance and recovery in athletes who are constantly moving. Sports such as triathlons, basketball, and football require long-duration performances and the athletes need carbohydrate in an easily-digestible form. Eating whole foods, such as fruits, often lead to digestion issues, and drinking plain water may leave the athlete depleted near the end of the game. These characteristics of carbohydrates should be common knowledge, and I’ve written on the topic numerous times before. I mention it here because of a unique, relatively new benefit of Creatine. Not only does Creatine replenish phosphocreatine stores as noted earlier, but Creatine may also enhance the rate of glycogen replenishment. Roberts et al. (2016) showed that post-workout glycogen re-synthesis was approximately 82% greater with Creatine than without. This finding has implications for athletes who need to perform repeated bouts of athletic work frequently throughout the week. Significantly greater (and faster) glycogen re-synthesis may be the “Holy Grail” of recovery—at least with regard to replenishment. Within a 48 hour period, Creatine does not appear to offer a significant boost in recovery if the training resulted in significant muscular damage, especially from eccentric loading (Boychuk et al. 2016). This would support the notion that muscle damage and strength deficits induced by eccentric-focused training warrants longer recovery times than concentric-focused lifts (Parr et al. 2009). While Creatine supplementation enhances energy availability, it does not necessarily protect against muscle breakdown or enhance muscle repair… at least not in the 48-hour window. Evidence from studies that exceed 48 hours post-exercise do support enhanced recovery overall. Cooke et al (2009) demonstrated that supplemental Creatine significantly reduced certain markers of muscle damage only after the 48 hour period, through the 7th day after training. The protocol used was pretty severe (4 sets of 10 eccentric-only reps), and it lead to far longer recovery times than those associated with most bodybuilding programs. Trainees in this study were also untrained, which would imply a longer recovery period to begin with. Either way, the study did show the benefits of Creatine for aiding in repair or protection (this was unclear) of muscle from extreme eccentric stressors. Creatine expedites recovery by directly replenishing phosphocreatine stores. Creatine also appears to indirectly enhance recovery by accelerating the rate of glycogen replenishment when it is consumed alongside carbohydrate. Creatine’s effect on the rate of recovery is likely to be more pronounced in routines that focus on powerful concentric movement as opposed to training sessions that cause a significant deal of muscle damage. 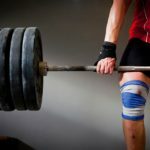 So, athletes may be able to bounce back faster from practice, but bodybuilders may still be limited by repair processes such as protein synthesis. The evidence that Creatine supports the repair aspect of recovery is likely due to protecting muscle tissue from damage in the first place. However, this does not imply that protecting muscle from damage would be of use to bodybuilders. Muscle tissue damage is one potential trigger for muscle regeneration and hypertrophy. So, while I support Creatine as a means of hypertrophy through the super-compensation effect during recovery replenishment, the jury is still out as to its’ benefits via protection or repair. Next articleTraining Frequency & Muscle Gains: More is Not Necessarily Better!